Staff: Denise L. Gurwood, O.D. 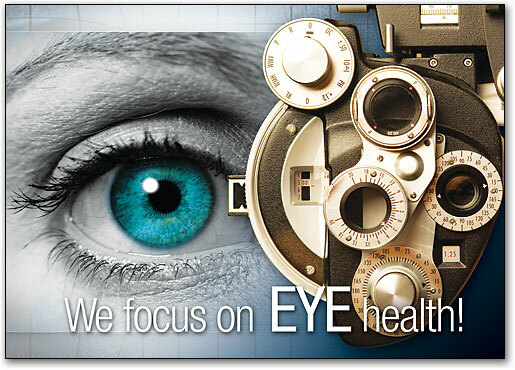 Gurwood Family Eye Associates is a family-owned-and-operated, primary-eye-care practice that is dedicated to diagnosing and managing the general ophthalmologic needs of its patients. Examining children and adults, using state-of-the-art instrumentation, the practice enjoys providing full scope eye care services. 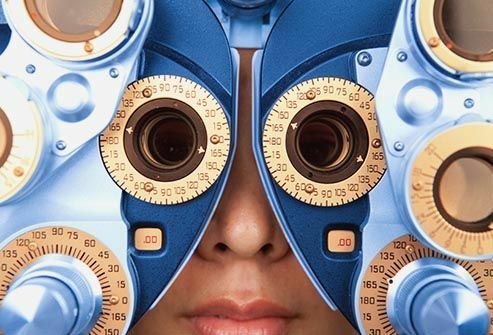 Examples entail wellness visits, dilated retinal evaluations (including but not limited to the diagnosis and management of hypertension and diabetic-related retinal issues), glaucoma evaluations, treatment of ophthalmic emergencies, and the fitting of contact lenses. The practice is grounded on the principles of competence, respect, privacy and compassion. She is a graduate of The Bishop Eustace Preparatory School, Cherry Hill, NJ, class of 1980. Majoring in biology, Dr. Denise Gurwood went on to earn a Bachelor of Arts degree from Immaculata College, Malvern, PA, in 1984. She furthered her education with a Doctorate degree in Optometry (in 1988) from The Pennsylvania College of Optometry, now Salus University, Elkins Park, PA. Her optometric career began at Hopewell Valley Eye Associates in Hopewell, NJ (Janet Steinberg, O.D., proprietor). While working there, she cultivated two private practices: Burlington Eye Associates and Langhorne Eye Associates. When the opportunity came for her to become a partner alongside Doylestown practitioner and practice founder, Irving Gurwood, O.D., she arranged the sale of the above two offices and relocated from Newtown, PA. Since 2005, she has become the proprietor of Gurwood Family Eye Associates, where she has maintained and grown the practice. Dr. Denise Gurwood and her fellow optometrist husband reside in Southhampton, PA, where they enjoy spending time with good friends, family and their three rescue dogs. He is a graduate of Council Rock High School, Newtown, PA, class of 1981. In 1985, majoring in Natural S ciences and Mathematics, Dr. Andrew Gurwood went on to graduate from Indiana University of Pennsylvania, Indiana PA, with a Bachelor of Science degree. Four years later, he graduated from The Pennsylvania College of Optometry, now Salus University, Elkins Park, PA. There he received a Doctorate degree in Optometry. In 1990, Dr. Andrew Gurwood completed a residency at The Eye Institute of The Pennsylvania College of Optometry, now Salus University, Elkins Park, PA. He has maintained a relationship with his doctoral alma mater, since becoming a full professor and serving as a clinical faculty member. Also amongst his credentials, Dr. Andrew Gurwood is a member of the attending staff in the Department of Ophthalmology at Albert Einstein Medical Center, Philadelphia, PA. He and his fellow optometrist wife reside in Bucks County, and he served his community (as a member of the Fire Service, retiring at the rank of Lieutenant). As the practice founder, Dr. Irving Gurwood is a graduate of West Philadelphia High School, Philadelphia, PA, class of 1958. In 1962, his educational pursuits earned him a Bachelor of Science degree in biology from Temple University, Philadelphia, PA. Four years later, Dr. Irving Gurwood graduated with a Doctorate Degree in Optometry from The Pennsylvania State College of Optometry, now Salus University, Elkins Park, PA. Afterwards serving as a clinical faculty member (Associate Professor), he maintained his relationship with the college for over 40 years. Furthermore, he served his country as a member of the United States Army, retiring at the rank of Captain. Dr. Irving Gurwood and his wife have called Southhampton their home for over fifty years, and they have three sons and one grandchild.